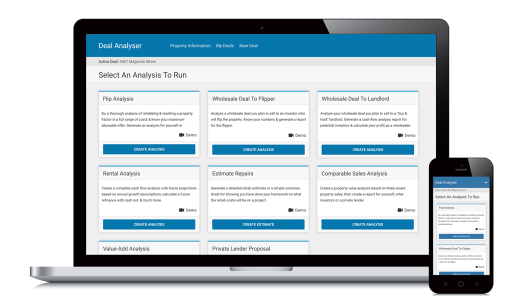 Within the Deal Analyzer software is a powerful House Flipping Calculator which allows you to analyze deals & create beautiful detailed reports. Analyze deals quickly & easily, while you avoid over paying. Then fund & sell your deals faster, & for more money. Do a thorough analysis of rehabbing & reselling a property. Factor in a full range of costs & know your maximum allowable offer so you never overpay for a deal. Start analyzing your next deal or simply prepare yourself by learning how the investment numbers work.